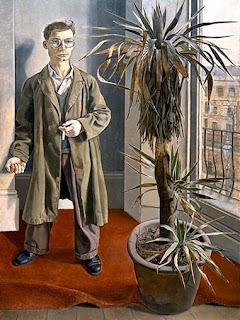 Lucian Freud was born on December 8, 1922, in Berlin: he was the second of three boys of a comfortable middle-class Jewish family. 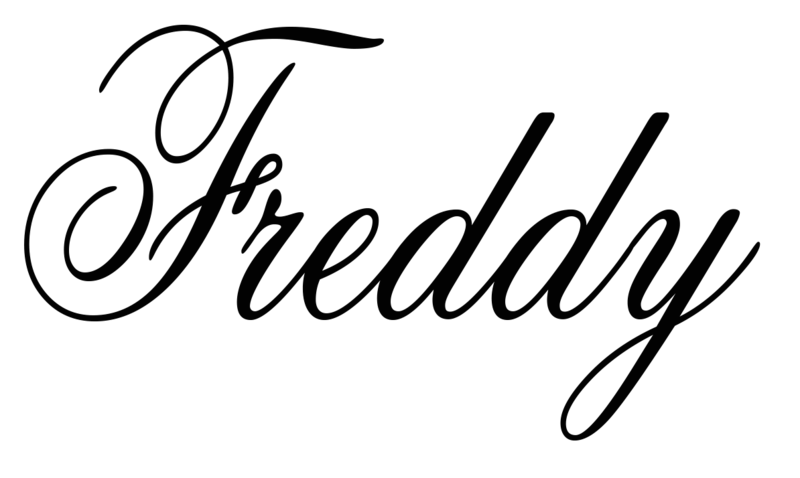 He was also one of the grandsons of the famous psychoanalysis-father Sigmund Freud. When Hitler assumed to power in 1933, his parents decided to relocate to England. Young Freud immediately showed an interest in art, fostered by his family, including his grandfather, Sigmund, who gifted him a set of color reproductions of Brueghel's Months. During his early school years, he was a rebellious student – Lucian often skipped art classes, because of his dislike for his teacher. In 1937, after a tumultuous studentship in several private schools Freud remarkably carved a three-legged horse in sandstone, which granted him to be accepted in the Central School of Arts and Crafts in London. 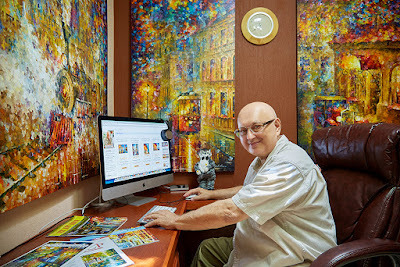 Though being a bohemian student, he produced some astonishing artwork- critics were stunned at the maturity of the pieces he produced in his teenage. His first exhibition took place in 1944 at London's Lefevre Gallery, showing a great talent which skillfully moves from expressionism to surrealism. In 1947, Lucian wedded Kitty Garman, who was his most important model; in this period, he enhanced his realism throughout his ability of transporting on the canvas the inner personality of the subject- due also to the choice of friends and family members as models. Freud’s fame kept rising and between 1946 and 1951, his work was exhibited in individual and collective exhibitions nine times in London, Paris and Vancouver. In 1951 he received the first prize by the Festival of Britain Arts Council, for “Interior in Paddington”, portraying Harry Diamond. 1952 was the start of a turning point period for Freud. After divorcing Kitty, he married his second wife, Caroline Blackwood. 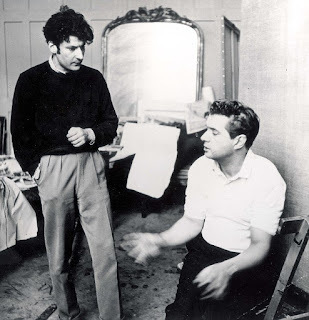 During this period, he painted some of his early masterpieces, representing his friends, Francis Bacon and John Minton. In the mid-1950s Freud began his most exploratory period, both in techniques and in themes, naked women and later men. The realism in his naked portraits weren’t meant in the classical sense, subverting the definition even further with the subjects covering their faces, leaving the body to let emerge the expressions. 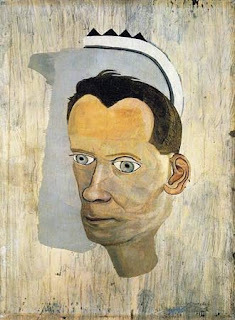 In the 1970s, Freud took distance from his previous philosophy by painting a series of portraits of his widowed mother, focusing on her face, underlining the torments of her solitude. In his cityscapes, Freud favoured the waste-filled street views of Paddington. Around 1975, the term “School of London” was coined by R. B. Kitaj, referring to his own work, along with the ones of Freud, Bacon, Michael Andrews, Frank Auerbach, and Leon Kossoff – artists he felt to share the same aim as his, as world-class painters. 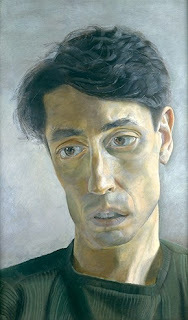 Thus, Lucian’s work was exhibited even more in galleries and in 1977 his art pieces were displayed at the Royal Academy of Arts and the Tate. Although by the end of 80s the School of London’s works became a hot seller, Freud grew distant toward both the public response to his work and his models. At the beginning of 1990s, Freud was involved in one of his most productive collaborations painting a series of obese naked portraits of Leigh Bowery, managing to express beauty and simplicity, though spurning idealism, capturing “the elegance of the human form without losing its earthly qualities." 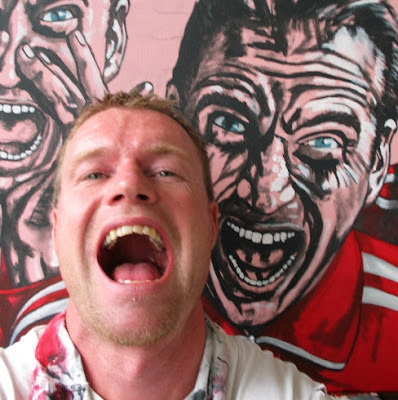 [Mark Swart, Contemporary Artists, 4th Edition]. Freud’s solipsism was determined by the philosophy of portraying the models as they really were, without adding the ideas he had of them. 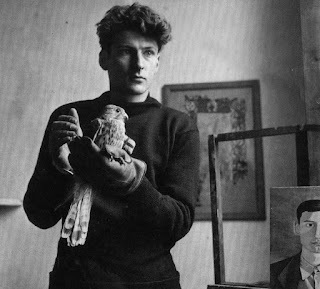 In the final years of his life, Lucian Freud spent a considerable amount of time with his model, assistant and friend David Dawson, who was the most recurrent subject of his work in the last period. Toward the end of his life, he portrayed also the Model Kate Moss. 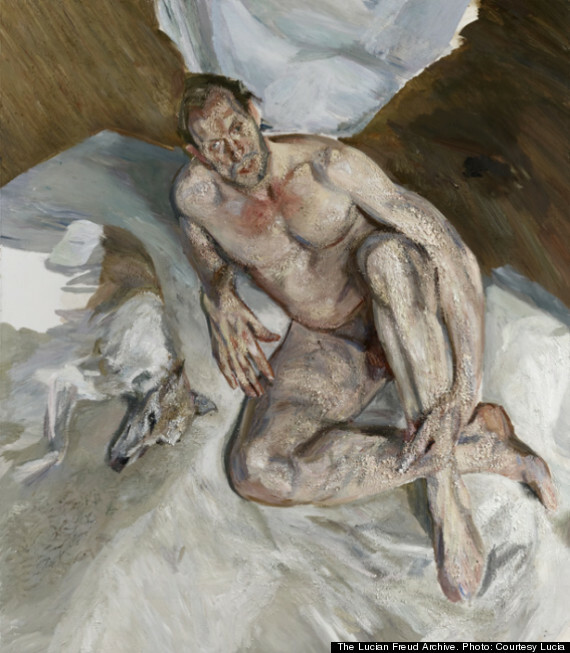 Freud’s last and unfinished painting portrays Dawson and the Dog Eli: both Lucian and David were aware that Freud might die before the work was completed. After his last illness, the greatest realist painter of his time died on July 20th 2011, at the age of 88. He rest in peace in Highgate Cemetery, London.